a series of 50 "one-cut" newspaper collages. 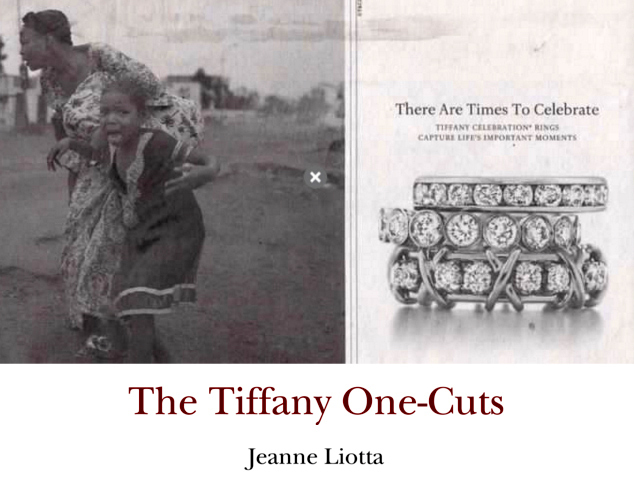 "The Tiffany One-Cuts are Liotta's third series of collage works that stem directly from her daily movements through the New York Times. These simple "one-cut" framings of opposites ...point to the inherent tensions found within the relationship between documented, the documenter and their audience. Liotta's explorations, on paper and in celluloid, concerns the politics of the cut. "